We have a very special announcement at the end of this article, but first we want to introduce you to a simple lifestyle principle that will help you CRUSH your fat loss goals. If you’ve ever had an intense desire to succeed in any area of life, you’ve probably realized by now that fitness and fat loss can indirectly be the catalyst for both personal and business success. Regardless of what your long term personal, business, and financial goals are, in order for you to enjoy the journey now and freedom down the road, you must make health and fitness a priority. Let’s face it: you’ll never live the good life if you don’t have your health. It’s impossible. We have found over the years that most people generally fall into one of two categories. You can probably relate to one or the other. If you have both “locked” in then congratulations. You’re officially ahead of 99.9% of the population and you don’t need this article or this life-changing tip. You can move on. But if you’re anything like us, this is a constant battle that has to be consistently worked on a daily basis. Just look at the true definition and let it resonate for a minute. After helping and coaching a very large number of people from all walks of life, I have found that we all need to actually seek and find accountability. In order for you to be successful in business, you have to hold yourself accountable to certain daily tasks and/or large projects. When it comes to being a parent or a mate, we also hold ourselves accountable to spending time with our children and our significant others. The same is true with exercise and nutrition. Most people fail with keeping the weight off because they lack an accountability system. There are a few different ways to do this depending on your personality and of course your personal desire to really get results. The best accountability system is to hire a food coach or personal trainer. This will not only show you the fastest proven path to success, but also can obligate you financially. Another great way to hold yourself accountable is to enter a contest or event with a goal or deadline. This positive pressure will help you stay focused on a pre-determined goal. By having a deadline it also creates the urgency needed to help develop consistent habits. The last method of accountability is partnering up with a friend or mate and committing to weekly workouts. If possible, it’s also a good idea to pay in advance for a series of classes for added accountability. My wife Karen uses a food coach and weighs in every week to hold her accountable. If she knows she has to report to a coach or get on the scale every week, it automatically increases her discipline level to follow through. I think you would probably agree, this is something we all need if we really want to see lasting results. The final analysis: There will never be a perfect time in your life to begin developing fat loss and fitness habits. The best thing you can do is seek and find an accountability system that best fits your lifestyle. 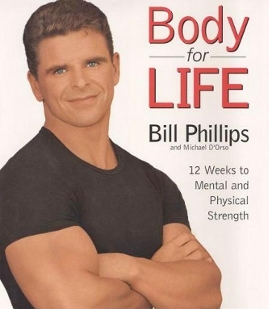 In 1998 I spent 12 weeks doing Bill Phillips’ famous physique transformation contest called “Body for LIFE”. The contest required four to five hours of strategic exercise per week and a balanced, fat burning nutrition plan. This was not only a great way to hold myself accountable, but also allowed me to develop long-term habits that I still use today, over 12 years later. Although there are many more efficient tactics, techniques, and approaches to use with today’s fast moving science, the basic principles of accountability still apply to this day. This contest also taught me how to use accountability systems to dramatically improve focus and productivity in all areas of my life. When all was said and done the changes in my physique were nothing compared to the person I had become through being held accountable. After being a 1st Runner-Up Grand Champion out of over 221,000 contestants, I realized the power of accountability and immediately started sharing my passion with others. My first student after this contest was a friend and fellow gym rat named Marty Reddy. I held Marty accountable to our efficient tricks and the results were nothing short of astonishing. Just take a look at what happened to Marty’s body after only 12 weeks of being held accountable to our coaching. Now it’s your turn! Remember that your life will never be in a perfect situation to be held accountable. As NIKE says: Just Do It. If you want to set up your very own accountability system, we have some good news and a very exciting announcement for you. 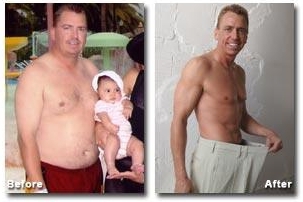 We’ve recently had 19 spots open up over the last week for our Fall 2010 Extreme Fat Loss Webinar and Group Coaching Call. We want to extend these 19 spots to you, our loyal subscriber for FREE! In this Webinar, we’re going to have a special guest (that you can all relate to) share a very powerful and unique accountability system. This is unlike anything we’ve ever done. This Fall 2010 fat loss plan of action is very likely going to be the difference between achieving your goals over the next couple months – right through the holidays – OR not even coming close. If you’re interested in CRUSHING your fat loss goals right through the New Year and beyond, then grab your spot while you still can. P.S. We have something VERY special cooked up for those who attend this LIVE webinar. It will be well worth your while to be on this webinar, we guarantee it! Do you have some type of accountability system that you currently use to stay on track? If so, just leave a comment below (and hit the “like” button) to let us know what it is so you can help others CRUSH their fat loss goals for Fall 2010 and beyond.